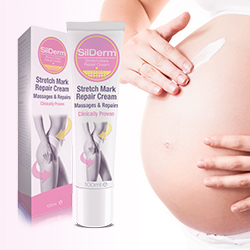 SilDerm® stretch mark cream contains the two most Powerful & Effective ingredients – Darutoside & Regestril. 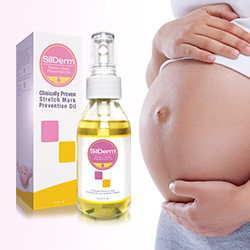 (2011) Clinical Study on the Efficacy of Darutoside and Regestril in the Treatment of Stretch Marks. (striae gravidarum). Data on File.